Duayne C. Larson, age 91 of River Falls, WI, passed away peacefully on Monday, February 4, 2019 at Comforts of Home in River Falls. Duayne was born the son of Lester and Florence (Olson) Larson on June 22, 1927 in Martell, WI. He grew up near Martell and attended school at Clayton Corners. Duayne helped his father farm before joining the Army and serving his Country in the Korean War. After returning from service, Duayne went to work at The Equity (later Cenex) in River Falls, retiring in 1986. He was a member of Ezekiel Lutheran Church, and in retirement made daily walks to church to volunteer in many different capacities. He was also a member of the Fletcher-Pechacek American Legion Post 121. Duayne enjoyed fishing, snowmobiling, and his rose garden and tomato plants. Family was important to Duayne, and he treated his niece and nephews like they were his own children. He was humble, gentle and caring. Duayne truly lived the example of serving others above self. He is preceded in death by his parents, Lester and Florence Larson; brother, Ronald Larson; and sister, Marjorie Buckner. Duayne is survived by his niece and nephews, Scott (Amy Wimmer) Larson, Daniel (Kris) Buckner, Diane (Jeff) Halbach, and Robert Buckner; great nieces and nephews, Andrew Buckner, Jessica Buckner, Thomas Buckner, Jared Halbach, Ellie Halbach, Nathan Halbach; sister-in-law, Pinky Larson; brother-in-law, Thomas Buckner; and many other relatives and friends. Duayne’s family would like to extend a special thank you to Nadine Johnson, Allina Hospice, and Comfort of Home for the wonderful care provided to Duayne. 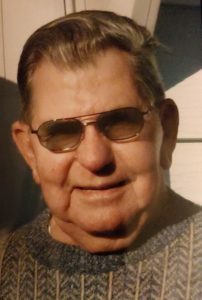 A Memorial Service was held on Saturday, February 9, 2019 at 11 am at Ezekiel Lutheran Church 202 S 2nd Street River Falls, WI. Visitation was also on Saturday, February 9, 2019 from 10-11 am at the church. Interment was in Greenwood Cemetery in River Falls with Military Honors provided by the Fletcher-Pechacek American Legion Post 121. Memorials may be directed to The American Cancer Society. Arrangements are with Bakken-Young Funeral & Cremation Services.